FREE 2015 Recipe Calendar from Perdue! You are here: Home / FREEbies / FREE 2015 Recipe Calendar from Perdue! 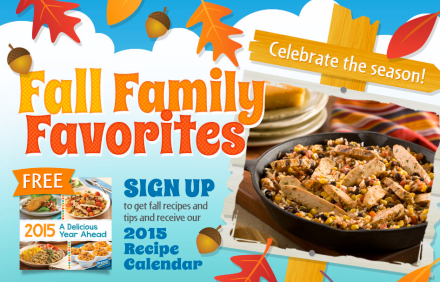 Get a FREE 2015 recipe calendar from Perdue! Just go HERE and enter your email address to get started. Quantities are limited. One calendar per person.